Working on a tree frog. I've got my oscilloscope probe connected to its speaker wire so I can "see" the sound that he makes. (The creaking chair is me, not the frog...) The frog's call is entirely generated by the analog electronic circuit that you see on the front of the painting - like an electronic instrument. Below is the finished piece, "Gray(ish) Tree Frog," 2018. Watercolor and analog electronics on paper. 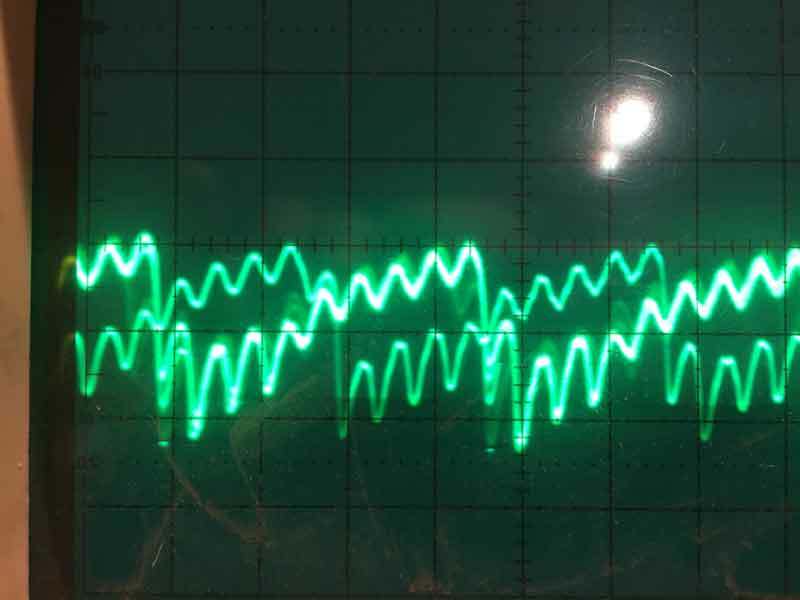 Above: different views of the frog's call using my oscilloscope. The differences that you see are consequent of the time and/or voltage interval that I used to adjust the display (like focusing in and out of sound). In other words, they're all the same signal, just different ways of looking at it.